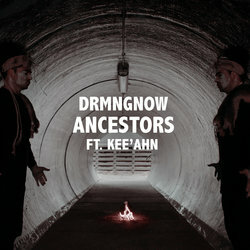 DRMNGNOW aka Neil Morris is a Yorta Yorta, Independent Artist based in Naarm (Melbourne). With his roots as a cultural performer, Neil brings a striking interdisciplinary approach to his art as an MC, Instrumentalist, Poet and songwriter. In 2018 under DRMNGNOW Neil released potent track 'Australia does not exist' followed up by 'Indigenous land'. Both tracks recieved high critical praise locally and globally with airplay in locations such including Canada , the US, and UK. DRMNGNOW has headlined festivals such as Two Worlds, and Happy Wanderer, and will perform at Golden Plains. Currently working on his debut full length album set for release in 2019. Ancestors is a track that speaks to the importance of acknowledging ancestors in order to achieve true justice upon this land.